522 pages | 600 Color Illus. Blender™ is a free Open Source 3D Creation Suite supporting the entire modeling and animation pipeline – modeling, rigging, animation, simulation, rendering, compositing and motion tracking. The program also includes Video Editing and Grease Pencil 2D Animation. The program is free to download and use by anyone for anything. The Complete Guide to Blender Graphics: Modeling and Animation, 5th Edition is a unified manual describing the operation of Blender version 2.80 with its New Improved Interface, New Workspaces and New Eevee Render System. This book introduces the program's Graphical User Interface and shows how to implement tools for modeling and animating characters and creating scenes with the application of color, texture and special lighting effects. 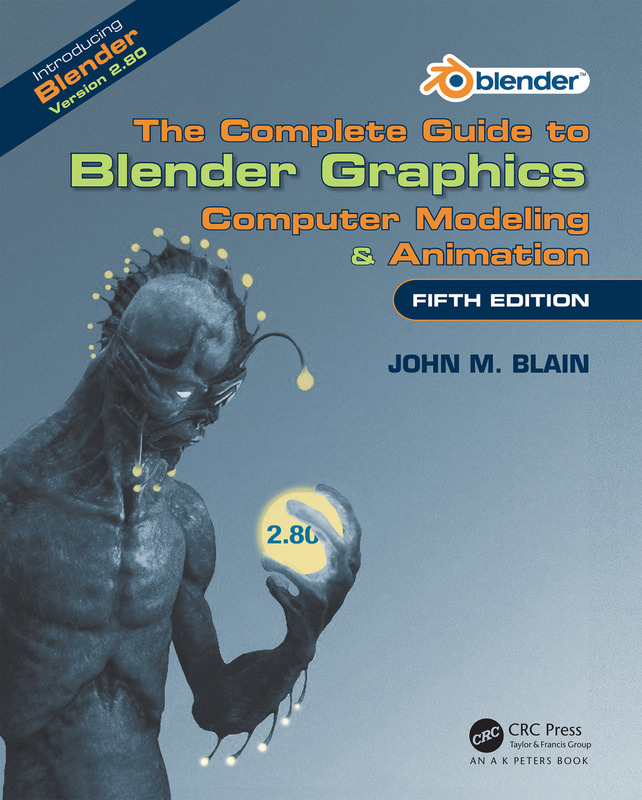 The book is designed to lead new users into the world of computer graphics using Blender 2.80 and to be a reference for established Blender artists. The book presents instruction in a series of short chapters with visual references and practical examples. Instructions are structured in a building-block fashion using contents in earlier chapters to explain more complex operations in later chapters.